As my Aunt Philo says, “Getting old isn’t for sissies.” Last weekend I joined a couple of friends and we visited another friend in the hospital. This isn’t something that I would like to do often; although, it did turn out to be a nice afternoon. We went out to eat lunch and chit chat, then onto the hospital where our friend was in high spirits. I suppose as we get older, hospital visits become more frequent. Remember the Christmas Savings Accounts. A news savings account for hospital flowers and gifts would be appropriate now. Thank goodness our hospitalized friend is now home. One of our friends arranged for Molly Maids to clean our friend’s home. We are all sharing the cost. This is such a wonderful idea. I used to clean the house spotless before we would go on vacation simply because I hated coming home to a messy house. It was so depressing returning from vacation to a messy house. I’m sure our friend appreciates this gift of cleanliness upon her return from the hospital. Another friend who has battled cancer has now been told that she is in partial remission. There is no total remission for her type of cancer. This is wonderful news to all who have walked down this road with her. She has the best attitude of anyone I have ever known. Even when the days were about as bad as they could get, it seemed as though something worse came along. Through it all her attitude remained on a high note. Watching my friend go through this terrible time in her life has assured me that a good attitude has healing properties beyond that of medical science. The gnome mystery continues. Now one of my friends shared that you can purchase gnome statues dressed in Saints attire. Sure enough if you search for “Saints Gnome” you will find them for sale. However, our gnominator remains a mystery. Our Wednesday night girls night out has been cancelled the past few Wednesdays because our host was in the hospital. This past Wednesday I offered to host our evening at the house next door, our new Cajun Stitchery studio. There were about 11 or 12 of us and we had a fabulous time. I provided the ham and the girls each brought an appetizer, dessert, or side dish. The new stove was used for the first time and the new refrigerator that had been pretty much empty, now sports lots of leftovers. Everyone got a tour and loved the house. The “before” pictures were shown on my computer for comparison purposes. Everyone agreed that George did a wonderful job remodeling that house. Mama’s dishes and utensils were used. I know that made her happy. The evening was a total success. Everyone enjoyed themselves. The last car load left around midnight. One of my friends who joined us Wednesday night told me that she was so proud that Kate and William named the new Royal baby after our own King George. I like that. When George was King of the Nereids, we would call him King George the dragon slayer. I ordered a bolt of white organza fabric and it arrived this week. It isn’t opened yet but I’m envisioning some really pretty items with it. There is still a good deal of sewing and embroidery to do for our studio. Curtains, shower curtains, table cloths, chair covers and rugs need to be made. Towels need to be embroidered. Mama’s double bed does not have a headboard. George is going to make the headboard. Since I’ve been digitizing and embroidering headboards lately, I thought that I should design an embroidered headboard for the double bed. I digitized a 14” mermaid and stitched it out on one of the curtains. It looks pretty good but still requires some tweaks. We also need to get another mattress to raise bed higher off floor. A friend ordered a photograph of three horses digitized and embroidered. He calls them the Three Musketeers. The horses belong to one of his friends. This design was too difficult for me to digitize, so we sent it onto our digitizer. The result is beautiful. To achieve the shading, the design has several layers of varying colors. The photograph was a bit dark and we simply used lighter colored thread to achieve the lighter coloring of the palominos. It is funny that last week we embroidered a design for a young lady riding a horse in a barrel race and this week we are embroidering more horses. The end result of embroidering the 5” wide design on a brief case. It really turned out nice. Since one of the stitch outs was on a bar rag which also turned out very nice, that was included in the order. 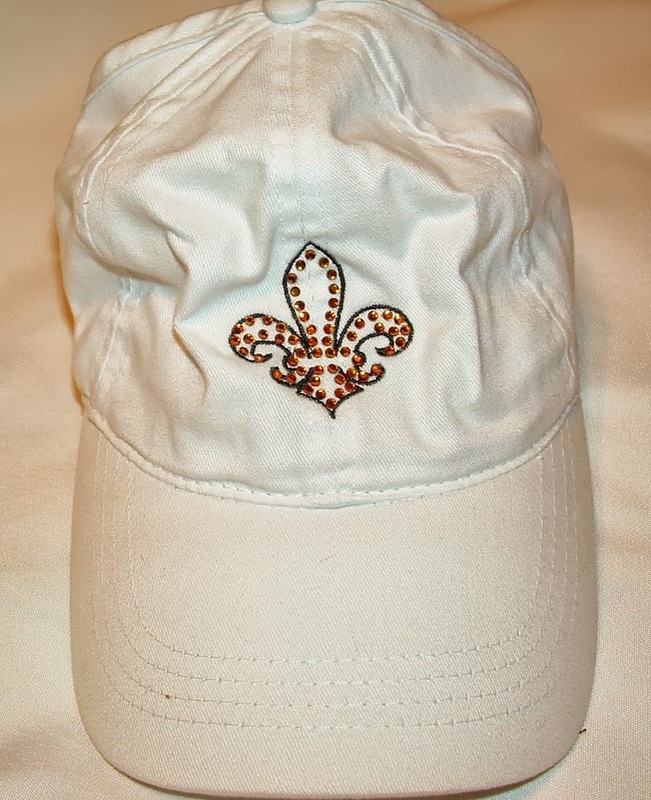 I enlarged the design to 10”, put an oval appliqué around it and stitched it onto a towel. The towel may hang in one of our bathrooms at the studio. Looking at our Etsy store, we seem to sell handkerchiefs pretty regularly. I wanted to embroider a handkerchief with a monogram within a frame. The frame that was chosen is one of our heirloom designs and I used the letter P as the monogram. Of course, any letter would go inside the frame. As I stitched out this new handkerchief, I pondered a scalloped edge. The scalloped edge handkerchief was digitized and stitched and works out rather nicely. The huge embroidery design is still coming along. All of the pieces involved take a lot of time. In the end it will be a work of art. Almost any design can be embroidered on a beach towel, bath towel, hand towel, or any kind of towel. They make wonderful gifts and are great for wherever towels are needed. Imagine your monogram on a set of towels in your bathroom; all matching each other and embroidered using the color of the room. The husband texted back to her: "I'm on the toilet. Good news. We now have a new water heater. We have learned to run the hot water next door so we don’t have issues with that water heater. Remember: when it comes to plumbing is you don’t use it, you lose it. We did have another issue next door with the plumbing but our plumber said it was just a minor thing to replace the pump in our toilet. The water saving toilet didn’t pump enough water to flush into the septic tank. That’s all fixed now. Once our hospice neighbor’s family learned that she was on hospice, they started arriving. One of the sons told me that his mom doesn’t seem that ill. Well, the lady hasn’t been able to go outside of her home for nearly 2 years. She perked right up when they all started arriving. She was enjoying the company, obviously. We once had a dog that everyone kept saying we should have put down. He was blind, deaf, had all sorts of physical problems and wasn’t able to do anything but lay down all day. Every time we would take him to the vet he would perk up and jump around and wag his tail. Thank you for the feedback on the laundry bag last week. 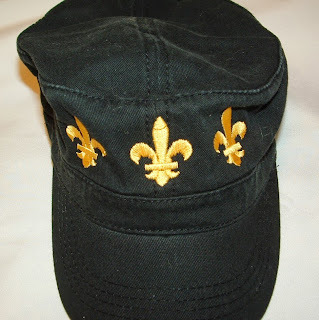 Your feedback is vitally important to Cajun Stitchery. Every suggestion or comment is given a lot of thought and taken very seriously. You are the consumer. I made another laundry bag with a shoulder strap and a pocket on the front. A pocket large enough for laundry soap and the other laundry accoutrements probably would not be necessary. Those items can be placed in the laundry bag, itself. A pocket for those items would be huge and probably not practical, unless the items were small. Remember the trapunto technique that was described some time ago. Trapunto is a method of embroidery similar to quilting. In fact, it is used frequently in quilting. A layer of batting is place between some cutaway stabilizer and the fabric. This sandwich of materials is then hooped and embroidered. The embroidery design has some open areas and some more dense areas, almost like a negative. Once completed, the unstitched, open areas puff up while the more densely embroidered areas are stitched tight. It does create a beautiful effect. There are some trapunto designs in our stock designs. Some were stitched out this week and a new one, of a zebra, was digitized. Our young horse rider’s order was completed and mom picked it up. She loved it. One of my friends came over this week to place an order and we had a wonderful time. She was served coffee in one of Mama’s Fiestaware coffee cups and saucer. She was able to view a lot of our wares. 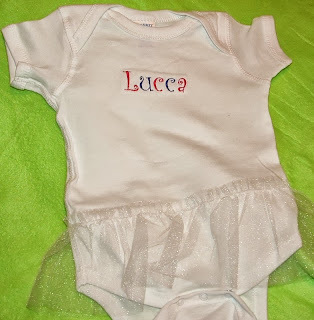 She ordered one of our red, white and blue baby bibs and needed some embroidery on a baby blanket that she purchased. She also ordered a clock but didn’t need that order filled right away. It was such a delightful visit. The huge embroidery design is coming along. The digitizing process is extensive. Each piece of the design must be stitched and tweaked until perfect. At this point the design is about 500,000 stitches. This coming Friday evening a very dear friend of ours is coming over to spend the night in the house next door. We are going to have a slumber party. We will be celebrating her birthday and her graduation from college. We seem to see each other every few years at a funeral or some other type of affair but that is all. There is a lot of catching up on what is happening in each other’s lives. Don’t forget the flour sack towels with the little mermaids on them. They are $15 each. There is one for sale in our Etsy store. More can be made. Get ‘em while they are hot. Facts you may not know…………. First, our water heater died. That was okay because we could go next door for hot water. We tried that and the other water heater had something wrong with it because we hadn’t used it often enough. George spent the day learning what to do on the internet and draining and pouring peroxide and draining, etc. It was an ordeal. Finally we had hot water next door. We called our handyman and he said he’d get with us sometime the first of the week. Well, Friday George called him. He apologized and promised to get back with us on Monday. Wow! Thank goodness we have the hot water from next door. I’d hate to think what we would have done if we didn’t have next door. Then I found out that one of my friends had a stroke. Another friend’s uncle passed away. Yet another is on Hospice. I am kind of happy this week is coming to a close because my head is swimming with all of this. While working the other day, I found that I needed a place to put laundry. I made a simple laundry bag big enough for my needs, about 24” wide and 36” tall. I embroidered the word “Laundry” and added a few related designs. Then I began putting laundry into the bag. I started thinking that this might be a cute idea for a gift and began searching on the internet for laundry bags. Come to find out they are hot items for students going away to college. That makes sense. There are laundry bags with monograms, names, school names, and all sorts of designs. I thought about getting more input on this idea and so I asked some of my friends on Facebook. They loved the idea. Then the search began for cute sayings to embroider on the bag. 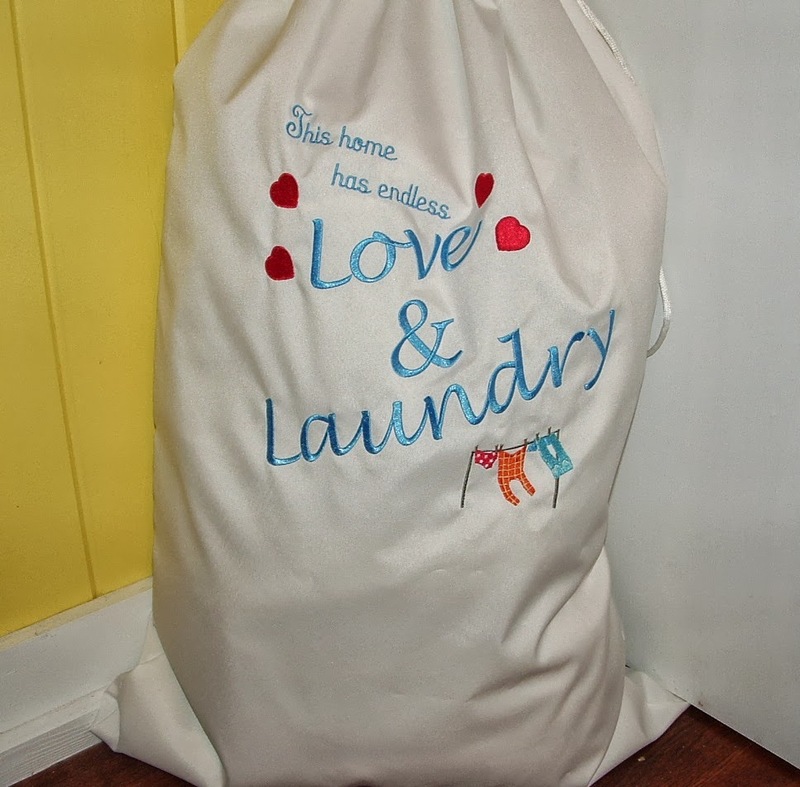 Finally, the next bag was embroidered with “This Home Has Endless Love and Laundry” with little red hearts around the “Love” and clothes on a line around “Laundry.” It really turned out cute. Then I made another plain laundry bag and timed myself. Since then a few blank laundry bags have been made. The one with This Home Has Endless Love and Laundry is for sale at our Etsy store. 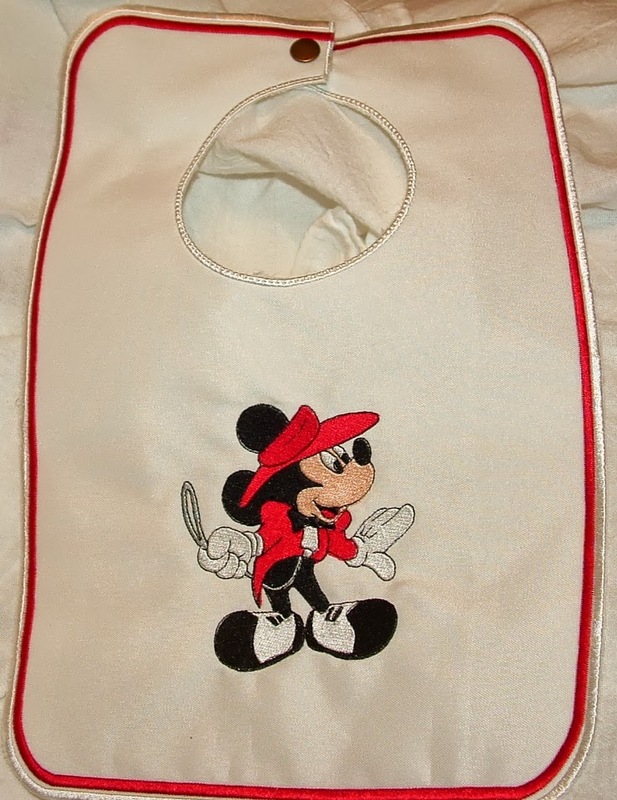 The cost is $30 which is in the ballpark of the other embroidered laundry bags that are on the internet. The plain laundry bag is also for sale at our Etsy store with the option of your choice of embroidery. Lots of people have been looking at it but so far no one has purchased. It is such a unique idea for a gift not only for a student going away to college, but also for newlyweds, or a house warming gift. The plain laundry bags are like a blank canvas ready for the artwork. The plain bag is $15.00, plus the cost of whatever embroidery you choose. The embroidery can be, and should be, very large because the space is available. A 12” tall design is definitely doable and would cover 1/3 of the bag. 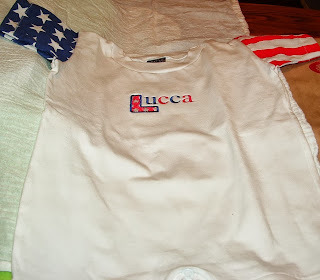 The white fabric that is used is made in the USA, as is the thread, and since I made it, the whole bag is made in the USA. If you think of any really cute sayings to embroider on these laundry bags, please let me know. Who knows, you may see your quote embroidered on a laundry bag someday. We completed an order this week for a young lady who rides horses and competes in barrel racing. 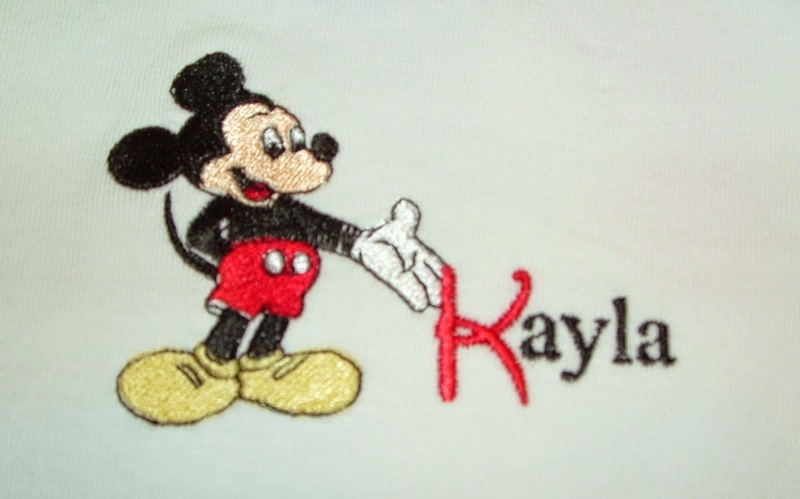 She and her mom came over and her design and name were embroidered on a few shirts. Most of this week was spent digitizing a huge design that is 45 inches wide by 30-something inches tall. It is magnificent but cannot be shared here. Next is stitching out pieces of the design and tweaking the stitches. It is a very exciting project. We embroidered a beautiful wedding runner with the name of the bride and groom, and the wedding date. It will go on their sweetheart table at the reception. Usually July is the month to begin bringing out the Christmas items to sell. It is Christmas in July. However, I think we will wait a bit for all of the Christmas embroidery. I just cannot get my head around the year being half over. Poor George keeps trying to mow the lawn in between the rain. Each time it rains he has to wait until the grass dries out before he can continue mowing. Today he got half of one of the back yards mowed before the rain came. Now he has to wait. By the time he finishes mowing the lawns, he’ll have to begin again. Such is life in Florida. However, I am so thankful for the rain. When we lived in Orlando the problem was drought. There is always something, I suppose. As I was picking up around the house next door, I ran across a couple of pieces of wood strips that we had used for hanging orders. Instead of hanging orders on them, I screwed in some cup hooks and hung some of our hats, totes, towels, and other wares for display purposes. 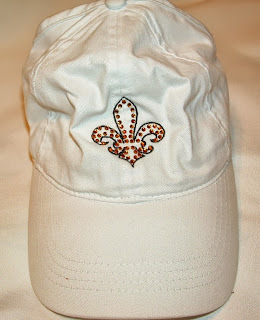 Cajun Stitchery needs to start displaying our items in the house. This has already paid off. 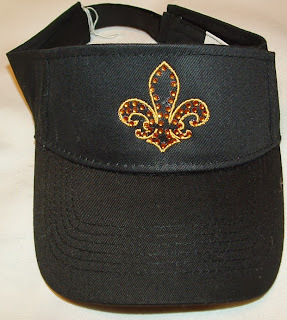 Customers this week were able to see samples of our embroidery and refer to them when placing their order. I was going to include directions for How to Make a Pillow in this issue. The directions that I saw on the internet were all so complicated that it even confused me. So, I decided to write my own directions. It reminds me of my Mama and her chicken feather pillows. I believe I have written the story before of Mama making a large body pillow out of ticking that we would fill with the feathers in all of the other pillows in the house. Then she would make new pillows out of ticking and re-use the feathers. As we unpack all of Mama’s belongings, we’ve found a bunch of pillows. None of the pillows have chicken feathers, though. You can tell that she made just about all of the pillows. The little throw pillows that she made are stuffed with squares of foam rubber to fit the pillow. Most of them are not stuffed tight. I found myself taking some of them apart the other day and combining the foam into one pillow for a tighter, fuller look and realized that I am my mother. I’m just waiting to find the pillow full of scrap fabric. We never threw away even the smallest scrap because that would be used to stuff something. Cut 2 pieces of fabric the same size and shape as the front of the pillow you want to make. Finish the edges of the cut fabric piece by serging the edges or applying some method of finishing edges. With right sides together, stitch ½” or 5/8” around the entire shape leaving a 3 or 4” opening. Clip the corners and curves and fill with polyester pillow fill. Leave the entire short side open if you plan to fill with a fitted piece of foam. Once filled, stitch the opening closed either by hand or using your sewing machine. Voila! You have just made a pillow. Depending on the fabric used, you should be able to wash the pillow. Of course, to keep the pillow clean, put it in a pillowcase and/or sham. Preferably put the pillow in a beautifully embroidered pillowcase and/or sham. If the pillow is a throw pillow, no additional covering is required. Hope everyone had a wonderful 4th of July. Our’s was peaceful. We had plans to go to a friend’s home for the festivities. Sadly, she had to cancel because her uncle had a massive stroke and she thought she might have to catch a flight to Boston on the 4th. A couple of girls from my krewe and I had made joint hair appointments for July 5th. Unfortunately, we had to cancel the hair appointments. On top of the cancellations it has been raining cats and dogs since July 4th. George and I watched the New York City fireworks show on TV and a couple of neighbors dropped by to visit. It is always pleasant when these neighbors visit. They are a couple of comedians, like Gracie Allen and George Burns. They started telling jokes and between the four of us the jokes simply got worse and worse, until we were laughing because the jokes were so bad. 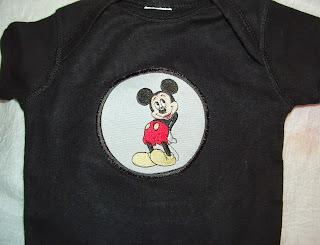 A lot of digitizing has been going on at Cajun Stitchery as well as stitching out some really cute Mickey Mouse designs. During the process of checking out pricing with one of our wholesalers, I noticed some adorable baby and children onesies, bibs, and tee shirts. First, I saw the little onesies with the tutu. These actually come in black, white, and raspberry. They are completely out of the raspberry color. I fell in love with these little onesies. Then I saw the little red, white and blue patriotic onesie. I simply had to buy some of them. In fact, I also bought some of the little tee shirts with the tutu. See the attached photographs and visit our online catalog at http://www.imprintit.biz/cgi-bin/cobrand/site.w?location=olc/catalog-home.w&top=catalog&frasmes=no&target=main&sponsor=000699. 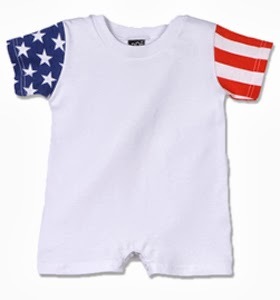 Since I was purchasing the onesie tutus, the tee shirt tutus, and the red, white and blue onesies, what the heck, I went ahead and purchased some of their little white jersey bibs. For the little boys, yes, they have camo onesies and tee shirts. So, if you need baby presents, come see me. Since my precious great granddaughter’s, Kayla’s birthday is August 4th, she is getting one of each. 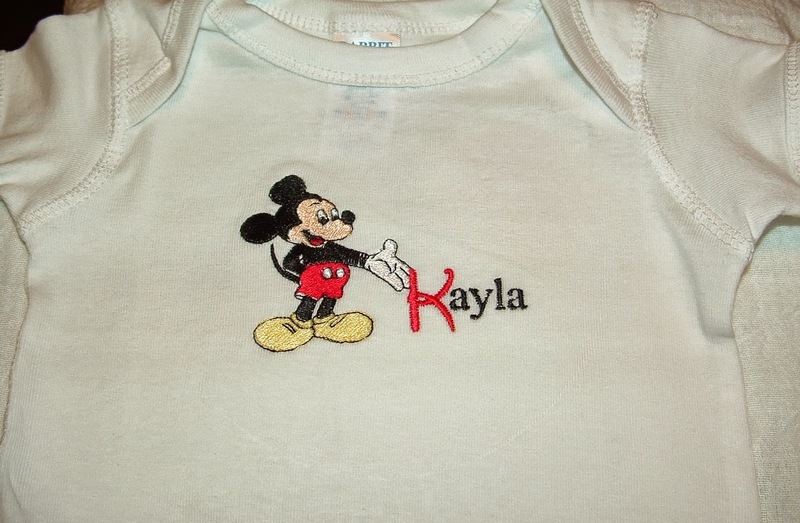 Kayla loves Mickey Mouse. 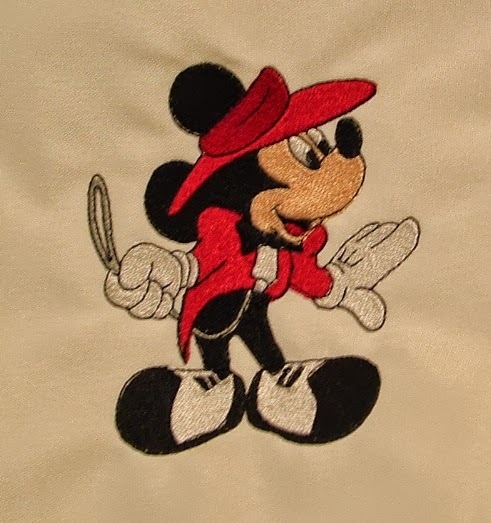 I’ve got most, if not all, of the Disney embroidery stock designs. 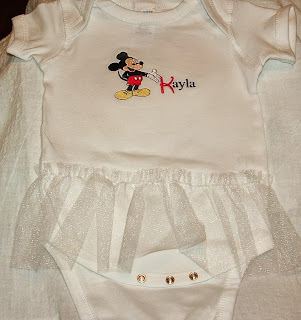 Mickey now adorns the little white tutu onesie. I fiddled around with another of the Mickey designs and realized that it wasn’t red, white and blue and also wouldn’t work on the black onesie. 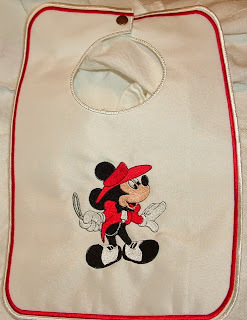 I was just compelled to stitch the design out, so, I made a bib with the design on it. I’m not sure if it will go on Etsy or if it will become part of Kayla’s birthday. 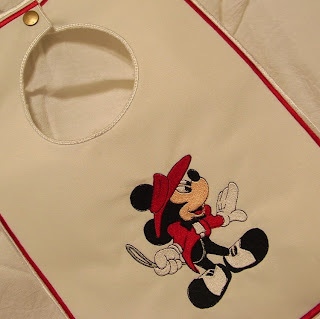 There is a cute red, white and blue Mickey Mouse design that will go on the patriotic onesie. This morning we couldn’t get hot water. Yep, the water heater passed away. Do not panic. We have hot water next door. George has been diligently working all day on finding the best and most perfect water heater for us. The problem has been that it has to fit in a closet in the living room. These days the water heaters can be pretty big. Initially we thought about the tankless water heater. The problem seems to be additional circuit breakers are required. Now we are thinking about heat pump water heaters. Whatever we get cannot come too soon. I’ve been washing dishes by hand all day. Since I was washing dishes I also cooked dinner. It was just a homemade hamburger helper type dish but it was really good and I used bell peppers, tomatoes, basil, oregano, garlic, cayenne pepper sauce, and parsley all from our garden. That mixed with ground meat and macaroni and cheese equals a big YUM. While I was in the garden harvesting dinner, I pulled up one of our carrots. Wow! That was a huge carrot. The carrot was so big that I measured it. It was nine inches of beautiful carrot. I think I see George’s famous carrot salad in our near future.